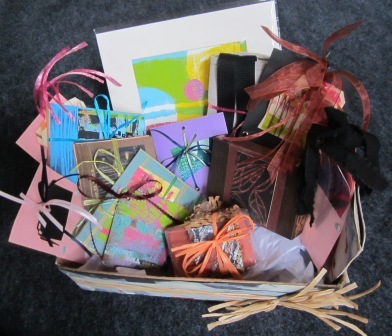 This box of handmade cards, tags, prints, a tote bag and other objects is a wonder. It never quits! Even the container is handmade and expressive!